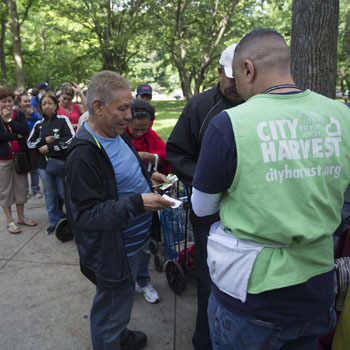 From day one, City Harvest’s focus has been feeding hungry New Yorkers, neighbors helping neighbors. City Harvest helped start the food rescue movement in 1982 when a group of New Yorkers saw that New York City had an abundance of excess food even while a large number of its residents struggled to feed themselves and their families. We recognized the practical purpose that this surplus food could serve if directed to New Yorkers who needed it, filling the plates of the working mom who had trouble making ends meet at month’s end, the senior in the apartment upstairs living on a fixed income, or the family around the corner coping with a large and unexpected medical bill. 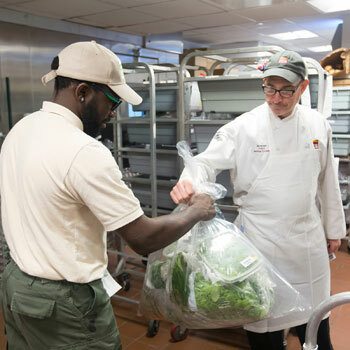 Today, City Harvest is New York City’s largest food rescue organization, helping to feed the more than 1.2 million New Yorkers who are struggling to put meals on their tables. We will rescue 61 million pounds of food this year and deliver it, free of charge, to hundreds of food pantries, soup kitchens and other community partners across the five boroughs. 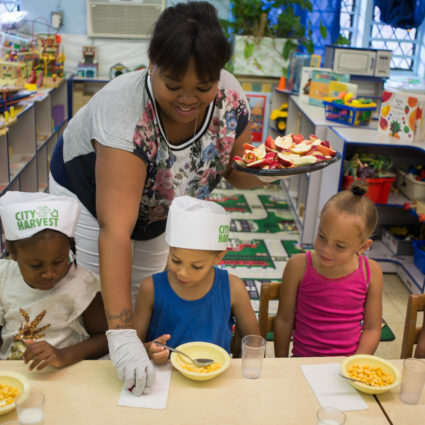 Our programs help food-insecure New Yorkers access nutritious food that fits their needs and desires; increase our partners’ capacity; and strengthen the local food system, building a path to a food-secure future for all New Yorkers. Click here for tips on starting a food rescue organization in your own community. It started with a potato. Our first Executive Director, Helen verDuin Palit, had been working at a soup kitchen and saw how difficult it was to feed all the people who came in for lunch. While eating a potato skins appetizer at a nearby restaurant, she asked the chef what he did with the insides of the potatoes. When he told her that this unused portion was discarded, Helen said that the soup kitchen could really use the food that the restaurant was able to offer. The next day, the chef donated 30 gallons of cooked potatoes – which the kitchen used to thicken the soup it was serving. This quick meal out with friends led to the creation of City Harvest in December of 1982. Thanks to Helen, Jason Kliot and several other New Yorkers who were troubled by the large numbers of people who didn’t have enough to eat, and the amount of good quality excess food going to waste, the smart and simple idea of food rescue was born. They reached out to restaurants and retailers, enlisted friends, borrowed cars, and set up a hotline. With only volunteers in their own cars for the first seven months, hundreds of thousands of pounds of food was collected and delivered. All of the food was picked up and immediately delivered to soup kitchens and food pantries. Over the next 35 years the organization grew to include 22 trucks, 160 staff members, thousands of volunteers, a Food Rescue Facility, and the generous support of many food and financial donors. 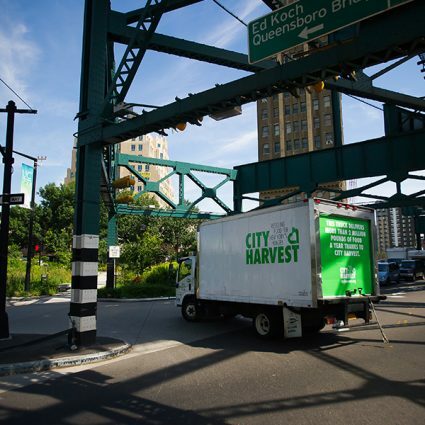 To date, City Harvest has rescued and delivered over 600 million pounds of nutritious food for hungry New Yorkers.